Miami Dice Review - Meta Score 922.5 - a few things you should know..
Miami Dice is a very new addition to the online gaming scene, having popped up only at the end of 2016. Imperium Network Solutions which operate it, however, have plenty of experience under their belt and more than a few well rated online casinos in their portfolio. This one offers a good range of games across various categories and a generous welcome package. Safe gaming is pretty much guaranteed based on licenses issued by the UK gambling commission and the Government of Curacao, plus the fact the Casino is regularly audited by eCogra. While US players are banned from entering this virtual Miami (imagine that! ), UK gamers are warmly welcomed. First Impressions: Is This a Kids’ Site? Inspired by Miami Vice (remember the 80’s show featuring detectives Sonny Crockett and Ricardo Tubbs? ), this gaming operator tries to give its site a beachy feel. Or perhaps the bright blue (or turquoise?) is meant to remind us of the detectives’ Italian-styled outfits which came in various shades of blue, pink, peach and other pastel colours? Whatever the intention, I think the result is sort of cheap-looking website that might visually appeal to kids under gambling age. Clearly, I’m not one. It’s also quite busy, again something I don’t particularly appreciate. The main menu on the homepage displays categories of games, making it easy to head straight for the ones you’re interested in. The second menu is almost hidden away (? ), placed in a vast blue area at the bottom and using what is probably the smallest font visible to human eye. To be frank, at this point I don’t have high expectations from Miami Dice. Let’s see though, I might be wrong. This is basic t&c breakdown: 18+. New players only. One bonus offer per player. Minimum deposit £20. Max bonus bet is £5. Bonus spins on selected games only and must be used within 72 hours. Bonus funds must be used within 30 days otherwise any unused bonus shall be removed. 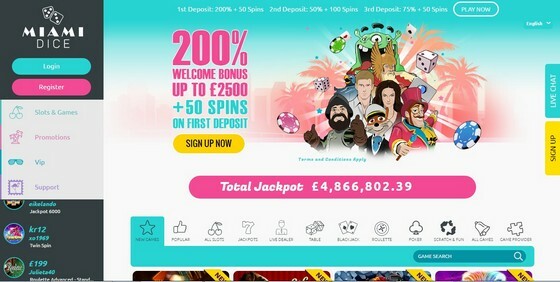 Bonus funds are 200% match up to £2500 on your 1st deposit, 50% match up to £500 on your 2nd deposit, and 75% match up to £500 on your 3rd deposit. Bonus funds are separate to Cash funds, and are subject to 35x wagering the total bonus, cash & bonus spins. Bonus Spins can be played on three NetEnt games – Starburst (bet you got that one! ), Gonzo’s Quest and Theme Park. Resulting winnings are capped at £100. Unlike many of their competitors, Miami Dice also awards all first-time depositing members 500 free loyalty points. When you move from what I think is a rather appealing welcome offer, there’s not much more to get excited about. Or am I being spoilt? A promotion called Miami Destination tempts us with a promise of a dream holiday in Miami – provided you’re the lucky winner of a monthly prize draw. To get an entry ticket, a player needs to collect 1,000 points, each costing £10 deposit. Wait, so it means I need to pay at least £10,000 into my account in order to participate? Guess this one is for high-rollers only. Bummer! As I’m carefully reading the respective T&C, I come across this little gem: “Example – Player A deposits £100. In order to earn 10 MD Points, Player A must therefore wager £100 x 2 = £200 before the MD Points will be declared valid”. And the promotion seems less and less attractive. Let’s see if the loyalty scheme is a bit friendlier. Every £10 wagered on slots earns me 2 loyalty points, while other games will contribute between 0.25 to 1 points for same value. Points can be redeemed in batches of 1,000, for which I’ll get £5 bonus. Unless I should have flunked math back in primary school, I’d say I’ll have to wager £5,000 in order to get £5 back. Don’t know about you, but personally I don’t feel particularly motivated to visit on regular basis. Perhaps I’d feel more appreciated if I were to become a VIP. Then I’d be able to benefit from free bonuses and high-roller offers, participate in private tournaments and get pampered by my own VIP account manager. In order to join “the greatest rewards scheme of all time“ (what a bold claim! ), I’ll have to play often and lots, and hopefully get surprised by an email extending a special invitation to enter this very special club. And this is basically all that you can find in the Promotions section. Even though Slot of the Month and Slot Tournaments are mentioned within the Promotional T&C, as far as I can see, they are not currently active. A pretty good range of available banking methods includes Visa, MasterCard, Maestro and Visa Electron, Neteller, Skrill, Trustly, Sofort, Dotpay, GiroPay, Paysafe Card and Bank Transfer. You’ll be able to deposit no less than £20, which is also the minimum withdrawal limit. The most you’ll get to cash out is £2,500 per day, following a 48-hour approval process. I guess achieving VIP status extends players’ limits and shortens processing time. All of us other mortals will just have to wait a bit longer than elsewhere before laying hands on our hard-earned cash. A library containing close to 400 games is good on its own, but the real treat is being able to choose from 15+ different software providers. The biggest choice is available to fans of NetEnt and Nyx, and diversity is ensured by more limited collections from Microgaming, Leander, Elk Studios, Aristocrat, Thunderkick, Lightning Box, Aristocrat, Amaya, Blueprint and the others. 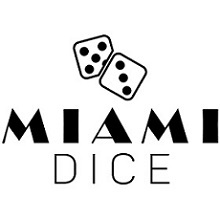 Miami Dice is an Instant Play casino, which is always my preferred choice. Another thing I like is being able to test the games before I invest any cash, thanks to Play-for-fun button each of them comes with. If you’re into NetEnt, take your pick – assortment ranges for the old goodies to titles launched over the last months. Warlords: Crystals of Power deliver impressive special effects and keep you entertained by 3 random Overlay Wild features, until warlords announce a battle to award Free Games and up to 100x Multipliers. I love Foxin’ Wins Again by Nyx (except for the truly irritating sound the hyperactive fox produces non-stop). Playing in a beautifully designed setting, you’ll get to benefit from free games with doubled prizes, randomly awarded bonuses and Super Bet increasing the number of Fox Pups which turn symbols into Wilds. Microgaming selection is unfortunately missing all of the new releases but does include the engaging Immortal Romance; entering into the Chamber of Spins awards exciting feature combinations and multiple entries unlock further bonus rounds. Some of the newer video slots you should definitely try include Wild Toro by Elk Studios, which lets you experience Walking Wilds and a bonus round engaging Toro and Matador in an exciting battle. The Master Cat from Leander offers a twist with a bonus played in three consecutive stages. It’s a pity there is no filter to allow direct access to classic slots portfolio, so if you’re into simpler gameplay, you’ll have to scan the whole slots library until you spot the classic you want. Joker 8000 by Microgaming has the look and feel of a slot machine in a brick-and-mortar Vegas casino, plus it offers a chance to land up to 8,000x Multiplier. 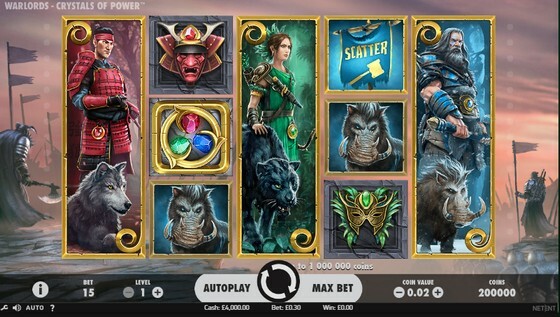 Twin Spins from NetEnt deliver a unique reel synchronising feature, while the creative Bar Bar Black Sheep by Microgaming adds extra bonus features we’ve come to expect from modern machines. Selection of progressive jackpot games is average in terms of quantity but excellent when it comes to potential wins. 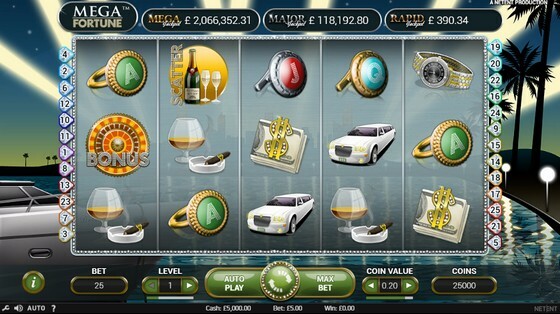 Mega Fortune slot currently displays a value of over £2 million (yummy! ), but you’d probably be more than happy striking big with Hall of Gods (£1.3 million) or Arabian Nights (just under £1 million). I know I would! The Live Casino during my Miami Dice review is powered by NetEnt and Ezugi, but not as complete as I’d expect. Options include several Roulette and Blackjack tables, plus only one Baccarat live game. No poker? No poker. While I appreciate the opportunity to taste live casino action, for me this choice is a bit small. But I do understand Miami Dice is still very new and possibly already has additions planned in the not-too-distant future. This is a section fans of table games are more likely to head to, thanks to 60+ games on offer. Among many classic Blackjack varieties, you’ll find a few unique ones such as Buster and Lucky Ladies. The first allows you to place a side bet which wins when dealers busts, and in the other you can win based on your first two cards. 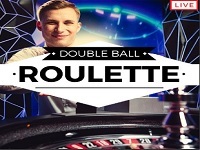 The Roulette selection is equally standard, with the exception of Double Ball Roulette which pays out jackpot in the event both balls hit your chosen number. Ok, not very likely, but it does bring additional excitement to a classic game of Roulette. Table games portfolio further includes a few Poker, Baccarat and dice games. Again, somewhat limited and definitely missing a more substantial Poker offering. It seems Miami Dice doesn’t care that much about Poker in general as its Video Poker offer is tiny. Featuring only Jacks or Better, Deuces Wild, All American and Joker Wild, it seems more like an afterthought than a serious attempt to please Video Poker fans. Again a fairly average offering, giving a choice of several Scratch Cards, Bingo and Virtual games. You can probably tell I’m not hugely excited and I expect you won’t be either. There’s really nothing here we’ve not seen before. 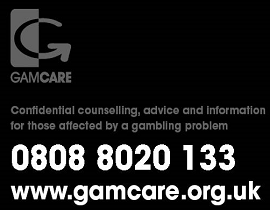 If your preferred method of contacting casino directly is by phone, you’re in no luck. The only options you’ll have are live chat and email. Not that I personally mind, I think chat is a great way to get assistance quickly and have a written record of your communication (just in case, you know…). Good news is support is available 24/7, every single day of the week. I frequently say this is a must for any online gaming establishment targeting international audience, but so often it’s not the case. 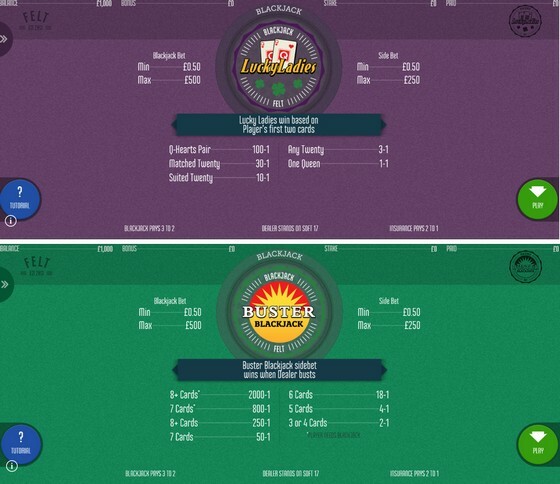 Accessing Miami Dice via my Android tablet surprises me with a more attractive and easier to manage site. Having faced over-busy desktop version, I should not actually be surprised to see how stripping the webpage off unnecessary details improves the experience. The choice of games is also very good (though mainly in slots area), with close to 300 on offer. Not at all bad for a mobile casino library! My Miami Dice review experience has been like riding a roller-coaster, full of ups and downs. I liked the variety of slots and (some) table games, not only on desktop but while playing on the go as well. We all have our preferred developers, but isn’t it great when a single gaming establishment gives you such a large selection to choose from? The question of security has not even entered my mind after I saw the licenses the Casino operates with and learnt it’s been audited by eCogra. The promotional offer is probably the one area that disappointed me the most. Firstly, there’s not that many to benefit from, once you’re past the attractive welcome package. Secondly, some require giving up my first-born in order to participate, and in my book that reads as either greed and/or considering your players to be illiterate dummies. In the end, it’s up to what tips your scale. Depending on that, you might end up loving Miami Dice, or alternatively flee to find an operator who’ll show more appreciation for your cash and your loyalty.